The nation’s oldest steelmaker reported its second quarter operating profit rose 38%, and it raised its full-year profit guidance — it now expects profit for the full year to more than triple. Reduced competition from imported steel has allowed domestic producers such as US Steel to raise the prices of their American-made products. But much of its product is sold based on longer term contracts that lock in prices. So there are still price increases ahead for US Steel (X) as those contracts come to an end. The better results haven’t been limited to US Steel. Nucor (NUE), now the nation’s largest steelmaker, reported last week that profits more than doubled in the second quarter. Reliance Steel and Aluminum (RS) reported record sales. AK Steel (AKS) earnings improved and it raised its outlook earlier this week. 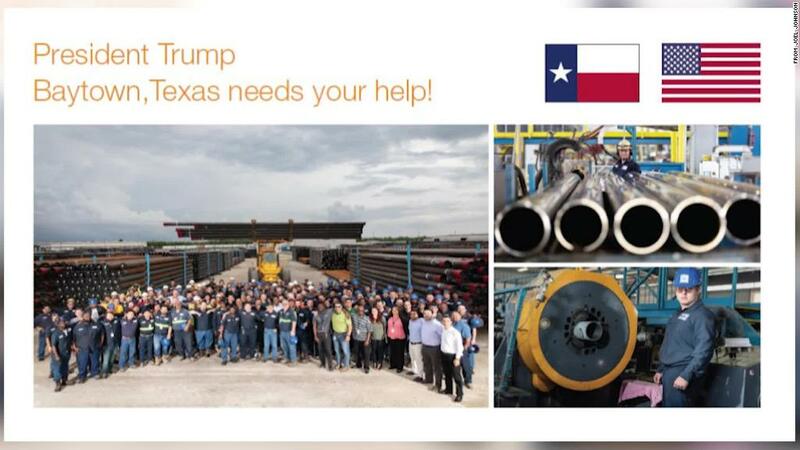 “We are encouraged by the Trump Administration’s actions to address the threat to the US manufacturing base, our economic competitiveness and our national security from unfairly traded steel imports and global excess capacity,” said the company’s statement to investors.